STC are proud to offer our expertise as co-supervisors on this exciting Masters by research delivered by IADT. Students will have supervisors from both colleges, and access to both colleges' facilities. The field of Music/Music Technology will be the basis for the course, a field STC is dedicated to advancing. This 'free fees' eligible course is offered by STC and IADT. The course is taught in the commercial music industry environment, and focuses on giving students the tools needed to succeed in the music and new media industries, offering a huge variety of career opportunities in this growing area. Through Sound Training Productions, students have access to professional facilities and mentoring. Our Audio Production and Music Project Management course offers students the unique opportunity to develop their skills in the field through industry-based, professional projects. While working on these real-world projects, students engage in both advanced audio production and music project management, greatly broadening employability. Our Sound Engineering and Music Production course is focused on giving students the knowledge, industry experience, contacts and opportunities to succeed in the music industry. This includes Sound Training Productions, which provides students with unrivalled and unique opportunities and links with key contacts in the music industry. Our Live Sound, Lighting and Stage Production programme fully prepares graduates for work in live events. Students are immersed in the workplace from the outset of the course and utilise one of Dublin's finest venues; The Button Factory, as our primary learning environment. 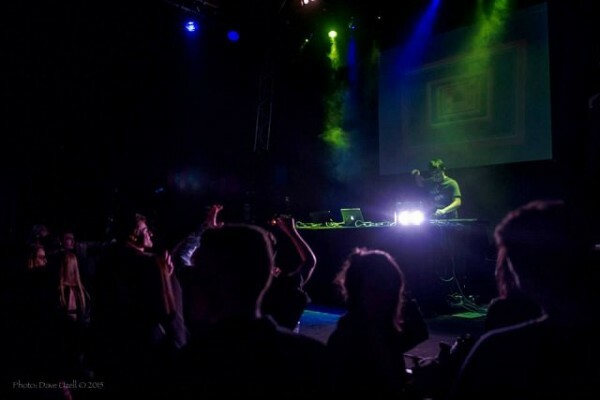 Students regularly run events to a professional standard throughout the year. Learning in the workplace is the key to our Alumni success. 2 Academic Years, taught over 2 evening sessions and a weekend day session every week. Our Part-time Sound Engineering and Music Production programme gives students access to our professional, conveniently located facilities in a learning environment focused on practical skills. Students benefit from all the facilities and staff expertise of our full-time courses, enjoying a more condensed timetable. Students work on several studio sessions throughout this course. The Ableton Beginner and Intermediate Course delivered by Martin Clancy, covers the Ableton essentials for both those starting out and those looking to brush up on their skills. Ableton Live is a professional audio engineering Digital Audio Workstation (DAW) that is the foundation of this course. This is a midweek night course. The emphasis of the advanced Ableton course is on practical work opportunities through knowledge of Ableton Live. Students will be actively encouraged to develop their own unique approach to the software (composition/production or live performance) while gaining additional confidence in relevant related subjects. This is a midweek night course. Multiple Start Dates. Contact info@soundtraining.com for more info. This DJ course is the perfect introduction for anyone looking to learn the fundamentals of DJing and Music Production. Aimed at the beginner, this course offers students a look at many of the formats used by the modern DJ such as Vinyl, CD and a range of Digital formats. Students will also learn how to use Ableton Live, for both DJing and live performance. The Introduction to Studio, Live Sound & Electronic Music Production course is designed to give students an insight into how the technical aspects of the Music Industry work. 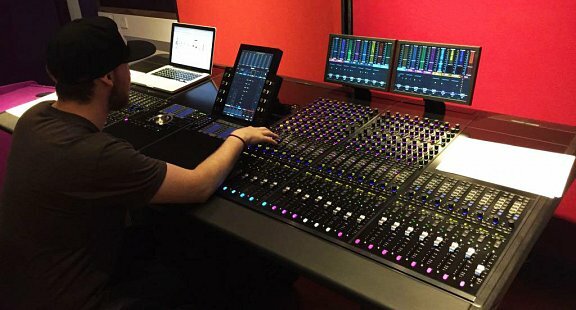 From recording in one of Ireland’s best studios to sound checking in the Button Factory venue, this course offers a unique introduction to Sound Engineering, Electronic Music and Live Sound Production. Monday - June 24th 2019 (available for one week or two). Monday - July 8th 2019 (available for one week or two). For all the budding music producers and sound engineers out there, here is your chance to spend a week or two in our amazing studios and music production suites. During your time with us you will get an introduction to music production and sound engineering and will also record a band during the week, leaving at the end with a finished mix of your own! This course is geared towards secondary school students. Our Festival Management & Sound Production course prepares graduates for work within the festival and event industry. Delivered by industry experts, students are immersed in the areas of festival and event management in the state of the art facilities at Sound Training College, Sound Training Productions & The Button Factory in Dublin. Students complete work placement at various festivals and events throughout the duration of the course. Our Festival Management & Sound Production course prepares graduates for work within the festival and event industry. Delivered by industry experts, students are immersed in the areas of festival and event management in the state of the art facilities at Sound Training College, Sound Training Productions Studios, The Button Factory in Dublin & Athlone Institute of Technology. Students complete work placement at various festivals and events throughout the duration of the course. You can now gain access to the renowned Sound Training College education from anywhere in the world. Sound Training Online teaches you the skills needed to build and maintain a successful career in the highly competitive music industry. Subscribe to Sound Training Online for as little as €19.99 a month and gain access to all of our online courses! If you prefer one-to-one guidance, then you can enrol on a Premium course and receive weekly tutor support and feedback.